I keep trying to remember what my 18 year old self would have thought of a woman running for President. It is hard for my nearly 60-year old self to recreate. There’s only one thing I am sure of. If someone had told me that the U.S. would NOT have woman president,for the next forty years, I would not have believed it. Because I knew, of course, a woman could be president; i.e. that women were certainly able enough. I had gone to a girls’ high school, where all offices within the school–as in student council–were held by incredibly able young women. The administrators of the school were very able older women, though, we had, of course, a male head. Yes, I also knew that my girls’ school had far far less funding than the partnering boy’s school–female alumnae just couldn’t give as much as male alumnae. But still, at the girls’ school, we were convinced that our actual academic and other achievements equaled or surpassed the achievements of those at the boys’ school, and that we too would use that education to do important things in the world. But the point is that I never, back then, would have believed that there would be so few women in high national office for so many many years. I say this to those who think that it’s not a big deal that an able woman is finally in reach of high office. I say this to those who don’t like Hillary because of her baggage (not understanding that women candidates especially of my generation carry a kind of baggage, women coming from days when they did not have much economic or political power, women who even now are deemed to carry the baggage of their families/spouses in ways that men are not). I say this to those that think, of course, there will be other women coming to fill high office, other better women. Geez. What happened to the old (as in young) Barbara Walters and Jane Pauley? I think I can safely say that Shirley Chisolm and Bella Abzug did not take a lot of time over their make-up. 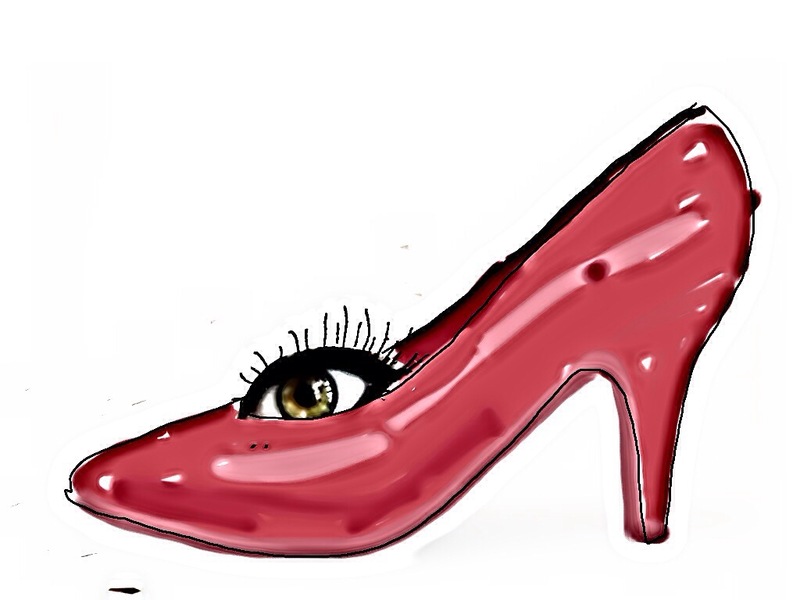 I am so sick of women having to fit into those heels and those eyes. Do not underestimate the type of squeezing and carrying that women have to undertake to qualify for prominence in this country. Vote. And more than vote, support. At least for the next few days. For this now, let go of the back-biting. Make it happen. This entry was posted on November 6, 2016 at 9:08 am and is filed under Uncategorized. You can subscribe via RSS 2.0 feed to this post's comments. Thank you so much, Other Mary. k.
Been wondering what you’ve been up to — grieving, I suppose. What I learned from 8 years of a black president and the near-presidency of a woman is how profoundly racist and misogynist Americans are, as if those are the very pillars of traditionalism. Alt-right and ISIS are blood brothers and we have some sad decades still to go. Hope you’re OK.
Hi Brendan, Thanks so much for checking in. I have been very sad, and felt very divorced from blogging. Then, the last few days of the holiday, I have been genuinely pretty busy. I am not sure what I will do going forward in terms of blogging and poetry. But I will certainly check in a little more and I thank you very much for touching base with me. All best, k. PS – you are right re the politics, I think. k.
Thanks so much, M. I am in a lot of pain over the blogging thing honestly. I miss it and many people, but can’t do it because I just feel so terrible. I have been pleased to see you posting more and sorry if I haven’t visited all! I am trying to work on prose (and job) and maybe some children’s things, if I can. Thanks so much for stopping by. All best. k.
ps – I should say I am in pain over everything, not just the blogging. Aside from my worry about the country and the planet, it feels so awful on a personal level as a woman and mother of women. Dear M–your comment has inspired me to go look at today’s prompt and actually to write something that would fit it. I don’t know if I can type it, but maybe I will try–will see. Agh. It’s just been such a painful painful time. I am not good at this–k. Ha. Thanks. I did write a poem for Kerry’s prompt and posted, but took down. Just don’t feel comfortable. Thanks. Hi Karin. Just checking in. I appreciate this post (and had not seen it until now). I too have been hunkered down… as much as is possible when still having to function at my job and as a parent. This is all so much, too much to bear. As I read this post, I thought you would mention Geraldine Ferraro, whose candidacy seemed at the time to open a door that would stay open. Anyway. Just saying hello, really. Hello! Well said. Women are still held to a different standard. And the people I deal with every day, whild generally nice enough, have attitudes I find discouraging.